After our previous post on the Windows free upgrade deadline, I received many complaints from people who installed the Windows and the others who were still skeptical. This post features the common issues you may encounter after Windows 10 installation including how to disable Automatic Windows Updates and the best solutions. To be honest, Windows 10 is the best Windows experience once everything has been set up and running. Let’s get straight to the Windows 10 common post installation issues. First of all, you need to know basic information about your system. Solution: Download a good Windows 10 ISO file with any Download Manager (which you can pause and resume at will), click here for the link or buy a DVD from a computer shop. Go to Device Manager (Shortcut: Win+R, then type devmgmt.msc in the RUN box and press enter or OK). Look for Display Adapter (probably with a yellow alert sign), right click on it and select “Update Driver”. Then choose “Allow Windows to search for drivers automatically”. Make sure you are connected to the internet and wait for it to do its work. Same as above, still on the Device Manager, look for “Network Controller”, right click on it and select "update drivers". 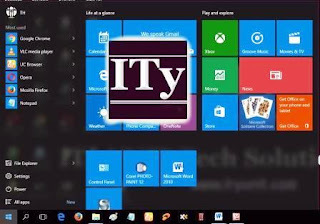 For some brands of PC, Windows might not be able to connect to the respective manufacturer’s site so you have to do it manually. Best to enter through Google (type in your model number + network driver) and make sure you select only the link to the original manufacturer site, then look for Network drivers. If you are confused about the choice, go for either Atheros or Broadcom (tends to install its own network interface) WLAN/Network drivers. Most games were built for backward compatibility; however, most Windows 10 only came with DirectX 12c graphic engines. Download DirectX 9 (standalone version -about 90 mb) from Microsoft or any other reliable site and install (You may google “directx 9 offline installer” or “directx_Jun2010_redist.exe”), your GTA, PES etc games will play smoothly. Get your printer driver from the “carry-come” boxed CD and run the installation again. Download .Net (dot NET) 2.5 – 3.5 Framework and install on your system. To check which version of .NET Framework is in your PC (probably only 4.5), enter from the RUN box again (Win+R) and type regedit (MAKE SURE you do not change anything here, just look and close). Unlike Windows 8, you can control your data consumption easily in Windows 10 (especially WiFi connections). Just connect the WiFi first, then go to PC Settings > Network > WiFi, then select Advance Options, under your connected WiFi name, you will see “Set as metered connection”, just slide it “ON” and all Windows Updates and Map downloads will be stopped “forever” as long as you don’t change the name of the WiFi hotspot connection. If you want to monitor how much data is used by your PC or even set a firewall, check here for the full guide on how to download and use GlassWire. On the right-side, double-click on Configure Automatic Updates and change its settings to suit your requirements. I recommend you use the Option 2 = Notify before downloading and installing any updates. (b) Use the Windows Update service (To disable it completely). Go to Control Panel > Administrative Tools, you can access Services. 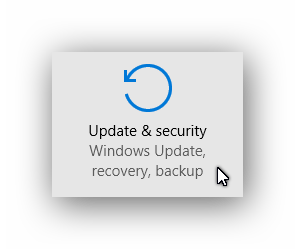 In the Services window, scroll down to Windows Update and turn off the process. To turn it off, right-click on the process, click on Properties and select Disabled. That will take care of Windows Updates not being installed on your machine. g. Familiar Windows 7 feel mixed with Windows 8 functionalities.